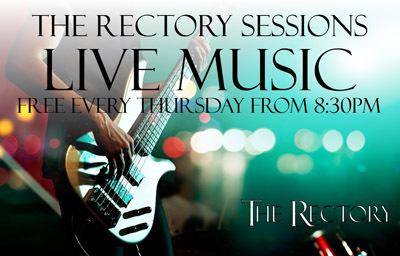 The Rectory bar in St Pauls Square in The Jewellery Quarter is showcasing local music talent with a new evening of free, live music every Thursday with the start of “The Rectory Sessions”. From funk and soul, pop and modern jazz, there’ll be new music every week chosen from the best that Birmingham and the West Midlands has to offer. 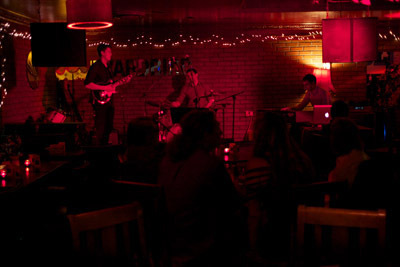 It started with a big launch on Thursday 30th March with one of the best local funk bands around, Three Step Manoeuvre, who regularly played at the old Yardbird Jazz Club in Birmingham and produced one of the most highly acclaimed funk albums of last year, with their first full length studio album “Three Step Strut”. More acts will be announced each week. Away from the main bar of The Rectory, the downstairs rooms provide a great, intimate venue for music – where the audience can enjoy music up close and personal, and perhaps best of all, entry is completely free. The sounds start at 8:30pm but it’s worth getting in early to soak up the atmosphere and get a table close to the action. It’s hoped that The Rectory Sessions will soon become established on the Birmingham music scene, providing a great night out in the Jewellery Quarter as well as a platform to showcase some great local talent to a new audience.